"Coming so soon after the end of the European Tour, played in very different conditions, there is always a case for backing locally-based outsiders here - note the last two renewals were won by unlikely Australians with plenty of Asian Tour experience." Angelo Que is something of a standing dish in this tournament, with five top 15s down the years. In 2014, Que only lost out in a play-off to Scott Hend while the season before he also cracked the top five. The Filipino is still going strong aged 39 and proved again that players can up their game ahead of a significant birthday by winning on the Japan Tour at the end of September. Also T17 in the Dunlop Phoenix last weekend, his latest registered stats show straight driving, good GIR numbers and excellent scrambling. That's perfect for Hong Kong GC and suggests he can have another big week at a three-figure price. Coming so soon after the end of the European Tour, played in very different conditions, there is always a case for backing locally-based outsiders here - note the last two renewals were won by unlikely Australians with plenty of Asian Tour experience. Since playing more regularly in Asia, Justin Harding has enjoyed the most productive run of his career and must be considered a lively outsider. Since May he's won no fewer than four times - twice at his usual level on the Sunshine Tour and twice on the Asian PGA. Prior to a couple of ordinary yet respectable efforts in PGA Tour company, he'd landed three top-tens on the spin. SSP Chawrasia hasn't enjoyed a great season on the European Tour again but the majority of courses played are too long for him and he's a far better player back in Asia. Chawrasia is a standing dish around New Delhi which probably explains why he likes this week's venue, Fanling. Both are short, tree-lined tracks with small greens that reward accuracy over power and terrific scrambling. SSP was fifth here in 2014 and he traded at odds-on 12 months ago before a poor finish saw him slip to seventh. He has a habit of confounding poor recent form when he gets to a venue that suits him and he's a fair price at 125/1. Hope we're all rested and ready after for another season of golf! The sport that never stops commences the 2019 season a good 40 days early, with the European Tour kicking off in their traditional start point of Hong Kong. 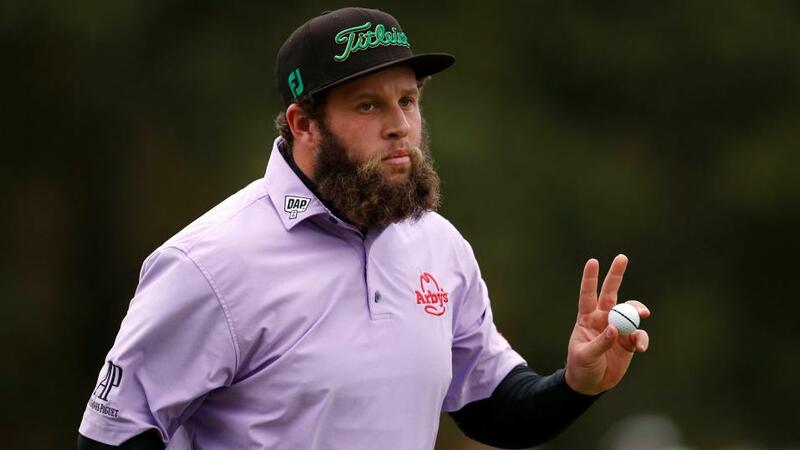 There's a group of big names at the top of the betting and while I respect their chances they do make for tastier prices further down the list and I will take a chance on Andrew 'Beef' Johnston, who is available at 66/1. That price reflects the fact he has never played at Fanling but it is a course that should suit a game based more on accuracy than power and his only European Tour win came at the tree-lined Valderrama don't forget. Recent form is OK (27th at the Nedbank his most recent result) but he was second the last time he played in Asia, at the Indian Open, so he certainly doesn't look without a hope at a big-ish price. Hitting a high percentage of Greens in Regulation, and Scrambling well when you don't hit the green, are key around Fanling so I'm happy to take a chance on last year's runner-up Paul Peterson at an industry-best 80/1 this week. The American doesn't rank extremely high in those two disciplines admittedly, but he's in the top third on the European Tour for GIR and the top quarter for Scrambling, and it's noteworthy that his best performance in recent months was last time out at Valderrama where he finished T16 around another course where accuracy and good skills around the greens play a big part. Peterson found a bit of form at this time of the year 12 months ago too, and went on to finish second here so we know he'll arrive in Hong Kong with good memories, his game in decent shape, and with a liking for the venue.